Look, this isn't about 'what others are doing,' (pretty adolescent justification in my view), this is about the FACT that Spain is the most ancient Catholic monarchy still reigning and Charlene is Princess of Monaco (should tell you everything, yes?) and the rest are not the future Queen Consort of SPAIN! Look, I'm 29, which is why it sets be off that these much older women than me act so much more immature. Why does Leti get to act like a giddy debutante, act like the maturity of an adolescent during a PAPAL INAUGURATION and I don't think her husband is aging because his role is stressful, but because his wife is regressing in emotional maturity and pretty much unwilling to get her act together. I stay up half the nights working and brainstorming business work and go figure, these idiotic tarts are running around merrily living it up and taking the monarchies down and meanwhile, there are endless numbers of decent women who didn't have a good enough sob story to attract a chivalrous prince and work on him. As far as I'm concerned, Leti is no better than Mette-Marit or Kate or to an extent, Charlene. Felipe really ruined himself. So I don't just Leti's relations so much mainly because Leti is hardly better. As far as I'm concerned, either she has to be made to grow up, or she will end up taking the monarchy down with her. This is beyond immature and beyond tolerable. Now, Leti is forty, has been CP for over a decade now, and yet refuses to mature into her role and even get her wardrobe right. She should have worn a simple black floor length dress and a mantilla with a veil attached. She is so busy worrying about her fashionable looks that even during a simple historical Vatican inauguration that probably won't happen for quite a long time. I am at a loss as to how Felipe lets his wife get away with this that he dares to let his wife act in such a way at the VATICAN and towards NUNS! How dare she! There are a lot of things that people don't do and insulting nuns or ignoring them is not one of them, definitely to be blunt. Nuns are respected by SO MANY and earn every bit of it! These are women with lives of sincere dedication and show that you can be a professional and live a virtuous life. The future Queen Consort of Spain and she insults them. I wonder, at what point is Letizia going to be brought into line? I'm not suggesting that he whip her or lock her in a tower and feed her on bread and lintels, but I would suggest something to teach that spoiled insolent woman a lesson on manners and a lesson on respect. Too bad Felipe didn't marry someone who respected herself, he might have ended up looking less aged and haggard. Don't know what you are ranting about. Letizia didn't wear inappropriate clothes, I have no idea how she was rude to the Nuns, do you have any evidence she did ? I think the new Pope was a bit rude to her and Maxima from the videos. Felipe looks pretty good, he looks older with the beard. Borbons don't have good genes to age well, he looks a lot better than his sisters, father and aunts, Sofia also didn't age well either until she started doing cosmetic treatment on her face. Leti's clothes were so so. They could have been longer and less casual. Paola's skirt was obviously under her knees. The pope was kinda rude to Leti but I thought he was very nice to Maxima, it was possible the longest conversation I've seen him having with a women. He also seemed nice to Paola and so so to Maria Teresa. Kuei Fei this is by far the best post I've read on this subject. Letizia is 40 years old and will (maybe) be a Queen Consort in a Catholic country. Her behavior towards the Pope's Inaguration which is a historical moment in the world, and not only in the longest reigning Catholic country (Spain), how she treated those nuns was absolutely despicable! And the short skirt is out of order in this situation. Particularly with a woman that is 40 years old, has two children and it is one of the main representatives of Catholic Spain. I dare say KM may have had behaved more in accordance with such a solemn act than Letizia has. Maxima and the Pope are being billed as Argentina's powerful faces on the world stage by some of the press. Maybe Maxima's father knows a lot about the Pope's past dealings concerning Argentina? IMO Letizia has worn her skirts too short many times, I don't understand why she hasn't put that together yet? It's a disgrace how Leti wore such a short dress and snubbed nuns while go figure, she is supposed to become Queen of a traditionally Catholic country. Not only that. As a Spanish Queen she will hold the title of "Her most Catholic Majesty". Marrying someone who respected the monarchy would have been more than enough. That's Letizia's main problem: she's living a contradiction. How can you be of republican convictions and yet marry a Prince? And to top it off: an heir to the throne. I'm sorry, but some things just don't mix. I sometimes wonder if Letizia is just plain stubborn and doesn't listen to anyone? Her skirts have been too short on several royal outings, I wonder if she just doesn't care and wants to do things her way? Good to see you again, Sidney. The future "Her most Catholic Majesty" just ignored some nuns and disrespected the ocassion with her short skirt. Some Catholic Majesty she's going to be ! As to why she married Prince Felipe while she's a Republican? she wanted to be a princess, be fawned over and live oh! so very well. The thing is that more and more we are seeing these future Queen consorts live and act like celebrities that want to be photographed without following the traditions of their respective countries. For shame! As the thread was going off topic and it can be its own thread I've splitted them. Yeah, that's what I think, too. She fell in love with the "fame and fortune" kind of lifestyle that marrying Felipe brought along. She just didn't see far ahead enough. She didn't think that some day the new would wear off and she would be stuck with a life she doesn't believe in. 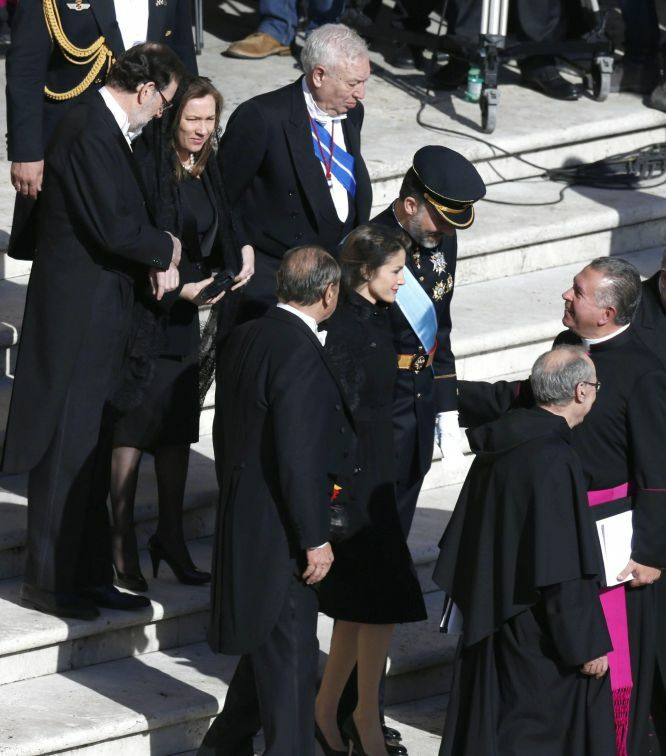 Maxima started the conversation first with the Pope, you can tell the Pope wanted to talk to her hubby, not her. If Leti had behaved like Max, she would have been 'insulted' for not knowing her place. Leti wasn't interested at talking with some journalists at the reception, what's the issue with it ? Some people just had wrong expectations, just because Leti was a journalist, she should give special treatment to the journalists. Where is the evidence she insulted nuns ? Her black coat dress is well below her knees. ^^ the nun story is in the link I posted above. The woman speaking is a reknown journo in vatican topics. It's not about her not speaking to journos it was a meeting with the spanish representation, catholic representatives and journos. According to people who was there is not that she didn't want to talk to the journos, she didn't want to talk with anyone and even then she must be nice to everyone journos or not, ending the meeting sooner because she wanted to go. Even if you are not interested you have to appear that you are. If you cannot do this which is the basic of diplomacy she is failing at her role. So everything started with Leti not wanting to talk to that journalist from a tabloid TV show, so what the journalist said later must be the truth ? If they had much integrity, they wouldn't have worked for those tabloid shows. I don't think Felipe and Leti could leave before the actual reception was over, she just didn't want to stay longer talking to the journalists. ^^ if you don't want to hear the journo I linked in my post that's ok but the journo I'm talking about is not a tabloid one. She even has the order of Isabella the Catholic given to her by Juan Carlos so yes I do believe her when she says that Leti was rude to a lot of people in that meeting. Màxim Huerta was the one there, he worked for a tabloid show. Perhaps Leti has been angry at the rumors and lies of Montero. ^^ There were other journos! Paloma Gomez Borrero says cleary she was rude. She is not a tabloid journo and has been given many prizes in her career. She doesn't seem a woman who would say anything against Leti if she didn't see it with her own eyes and was aghast at her attitude. I also find her behaviour to Maxim Huerta deplorable. She should be above the talk about her. She should have said "hello, how nice to meet you here" and "how is it going here". That's it. She has an image to protect and no one cares that she was angry or whatever. The only thing asked of her was to make small talk. So everything started with Leti not wanting to talk to that journalist from a tabloid TV show, so what the journalist said later must be the truth ? If they had much integrity, they wouldn't have worked for those tabloid shows.. If a journalist made her unhappy a long time ago, that's no excuse for rudeness in the present, ESPECIALLY for someone in her position. A lot of journalists get their main start in getting published in the tabloids. It's her JOB to humor the tabloid journalists, not the opposite. This isn't about her! "Not wanting to stay" is a pithy excuse and sheer stupidity; is this somehow beneath her? Is she even aware of her roots? Felipe has duties and people to meet and people he might WANT to meet and journalists are everywhere and she was one herself! So why be so distant? Why not meet nuns and talk with them and draw guidance? 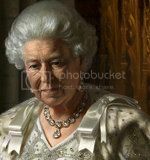 She is supposed to become "Her Most Catholic Majesty" after all in time. I've noticed that since her marriage she has been acting as if none of what she has means anything to her and as if being by her husband is some kind of stressful strain or a waste of her time. As if she thinks she should be doing more important things. I'm sick of this modern attitude of Crown Princesses these days. NONE of them (except for Mathilde and Stephanie realistically) are so intelligent that they can spend time drafting treaties and being involved in state meetings and such and besides, that isn't the role. If Leti has had such ambitions, why not get off her arse and do it before she marries at such a high level? If a First Lady of the US ignored nuns, it would be splashed all over and the President's ratings would drop. When I look at how Felipe guides her along, he looks like a father guiding his dippy daughter through an amusement park crowd. Letizia is not a trashy celebrity who can allow herself the luxury of hating so-and-so because they write things about her that are not all about kissing her royal derriere. She's a Crown Princess and she should behave like one. Last time I checked, freedom of speech is still a right in Spain and if there are journalists who think Letizia is not behaving like she should, they have the right to say yo. And by the way: the journalist who said Letizia was rude and impolite was Paloma Gómez Borrero: a well respected journalist who is not exactly known for her sensationalists ways. Leti wasn't interested at talking with some journalists at the reception, what's the issue with it ? You know... sometimes I'm not interested in teaching the grammar rules of present continuous to students that are misbehaving and/or not paying attention. But I have to do it. Why? Because it is my job. And talking to the people who show up at a state reception is Letizia's job, even if she doesn't like them. Some people just had wrong expectations, just because Leti was a journalist, she should give special treatment to the journalists. We have a very wise saying in Spain that goes "No sirvas a quien sirvió ni pidas a quien pidió" (Don't beg those who once begged and don't serve those who once served). I think it describes Letizia to a tee.